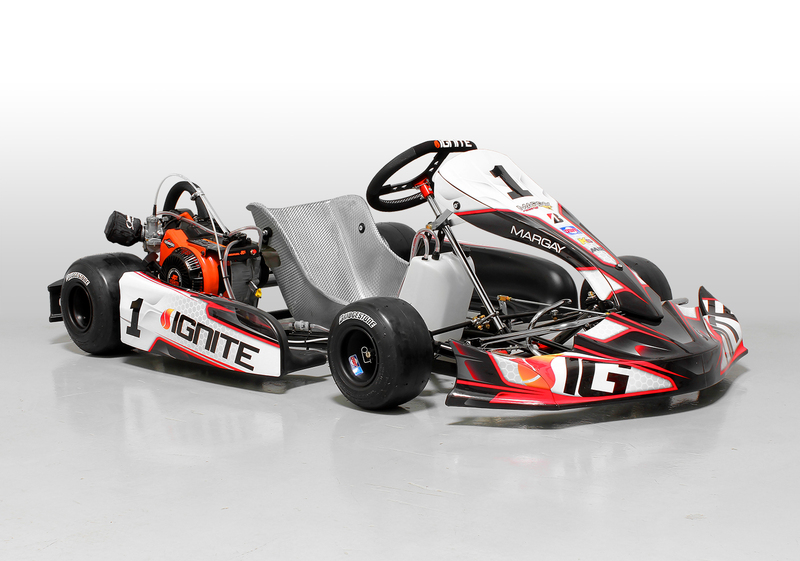 The Ignite program offers affordable entry into karting in an environment with a level playing field for all. Maximize track time and minimize maintenance and costs as you constantly improve your racing skills in an ultra-competitive environment. Factory sealed engines from Briggs Racing and a chassis developed by industry leader Margay Racing combine to provide a platform where the emphasis is solidly on driver development.